Almost half of our total home energy expenses are spent on space heating. Other major contributors are water heating and space cooling. Here are some easy and effective ways on how you can improve your home energy efficiency and ultimately lower your energy utility bills. 1. Insulate – Home insulation is the most effective way to manage your energy bills. Well insulated walls and attics can keep heat inside the house and the cold from entering. It is easier to maintain comfortable temperatures if the house is closed-in, thus lower heating or cooling energy costs. 2. Install and Automatic Thermostat – A pre-programmed thermostat can help you save on energy consumption. Where we oftentimes left our heaters on, 24/7, maintaining your most preferred temperature. With an automatic thermostat, you can set the temperature at your most comfortable when you’re in the house and is automatically adjusted when you’re out for the day. 3. Glaze Windows – Glass windows and skylights are great maximizing free natural lighting. But, it is also necessary to have them double-glazed in order to improve home insulation, and ultimately lower heating costs. 4. Use Appropriately Sized Appliances – Do not buy family size refrigerators, washers and washing machines if there are only two or three people in the house. Large appliances use up more energy than their smaller counterparts. 5. Unplug Electronics – We don’t usually unplug electronics and appliances after using. Our television sets, components and home theatre systems are typically plugged-in for ready use. But while we are not watching TV or listening to the radio, these electronic devices are continuously eating up energy. Make it a habit to unplug anything that is not in use. 6. Keep Your Roof in Top Condition – Regular roof inspection and cleaning will not only keep your roof in good condition and save you from expensive roof repairs but will also keep track of leaks and clogged gutters. Roof leaks are major drivers of moisture and dampness in the house, making it harder for your heaters to maintain a comfortable temperature. 7. Draught Proofing – Draught proofing your home can lower home heating costs. You can achieve this by simply sealing any gaps in the house where cool air might enter. Gaps are usual in unused fireplaces, vents, AC, exhaust fans, cracks in the walls, doors and windows, gaps between ceiling and wall, in the door jams and even between floorboards. 8. Take Advantage on Nature’s Help – Design your house to take in as much natural light as you dare, this means installing glass walls, windows and skylights. Instead of using the drying, you can dry your clothes outside during sunny days. You can also open windows to let air naturally ventilate and cool the house. 9. Choose Appropriate Water Heaters – There are two major types of water heaters, the tank-type wherein water are heated in the tank, and the tank-less where water is heated only when needed. The tank type needs low constant heating, while the tank-less only uses energy when in use. Depending on how your household uses heated water, choose the type that will help you save. 10. Wise Lighting – Lightning is something that we use the whole year round. You can save a lot in your home energy costs by using the right lighting bulbs. 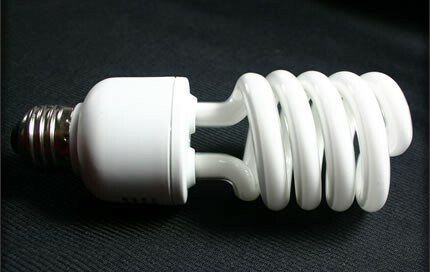 Throw out your traditional incandescent bulbs and replace them with energy efficient light bulbs. Paul Johnson is a writer for an Arizona Foam Insulation company. 2 Comments on "10 Easy Ways to Improve Your Home Energy Efficiency"
I had my attic spray foamed before the summer started and it really helped. I felt like my AC only kicked on a few times per day. I wish I could put foam in my walls instead of the fiberglass batts that are currently in there. Good tips in this article! Spray foam insulation is the best! I used it in my wall that faces a busy street and it reduced the noise by more than 50%.